Please note that as this is out of stock, there can be upto a 4-8 week lead time before the item is with us, from the point of order. This is due to it being made to order by the manufacturer. No, these are supplied separately, our part 140961. Subject: Bailey Pageant / Bordeaux bought 13/05/04 Dear sir/madam, I have had the above caravan from new. The internal slide bar has broken on my Remi Top Roof light with fixed ventilation. Am I able to replace the two side bars only or do I have to replace the whole internal fitting? The part number for the whole internal unit is 1160015 Your advice would be most welcome. Thank you for your help. 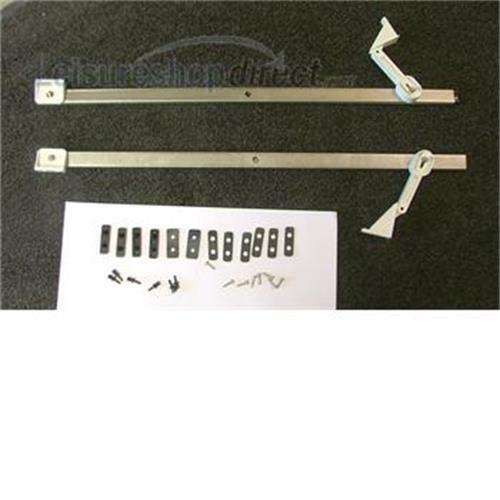 The slide bars are available as separate parts, our ref 140961. Fitting is 'fiddly' but not difficult. You need a short cross-head screwdriver to disconnect the slide bar from the rooflight in the open position.